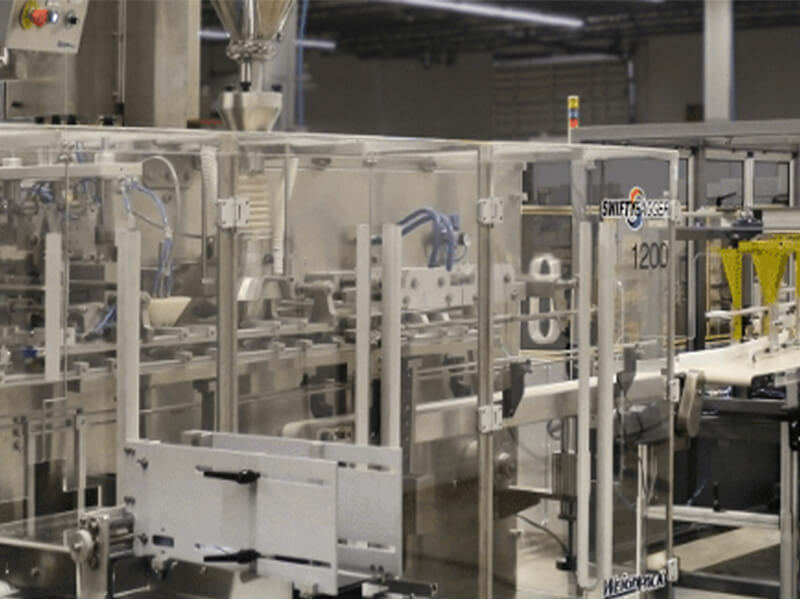 The SpinDexer™ was designed to increase productivity when filling challenging products into rigid containers – light, irregular, or tight fitting items will fill easily with the SpinDexer™. 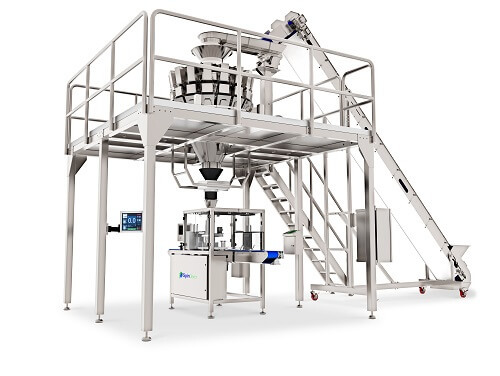 Available with 12, 16, or 24 stations and operating at speeds up to 100 cpm, the SpinDexer™ includes a variable speed infeed / discharge conveyor, traveling funnel assembly, no container / no fill sensor and clog detection sensor as well as many more features. Fully enclosed with Lexan safety covers, the SpinDexer™ is built with food grade materials and all contact parts are stainless steel. PLC-controlled, the unit is servo-driven and supplied with a color HMI. Perfect applications include filling vitamins gummies, pretzels, cheese balls, nuts, trail mixes, chocolates, candies and hardware into containers.